This kit has everything the beginning turkey hunter needs to start speaking the language of the bird. It includes a Premium Flex Double D Diaphragm Call with new Infinity Latex that makes the call more comfortable to use, longer lasting and requires less effort to call with. You also get the compact Li'l Deuce Friction Call with two layers of glass to produce high-pitched cutting and yelping, the weather-resistant and easy-to-use Hammerin' Crow Call, and the The Hooter Owl Call with two tone ports to create multitonal sounds. 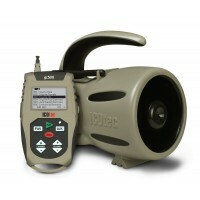 With this arsenal of calls at your disposal, you'll be locating and drawing in gobblers like never before. During the spring breeding period, gobblers will often respond spontaneously to non-turkey sounds. This is referred to in turkey hunting as a shock gobble. 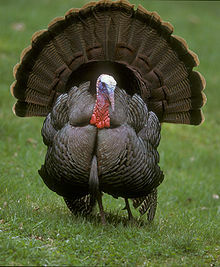 Shock calls like coyote howls, crow cawing and owl hoots can all elicit gobbles from tom turkeys. The most popular shock calls for turkeys are crow calls and owl calls, but any call that is capable of making a sharp sound can work to get tom turkeys to respond during the spring mating season.